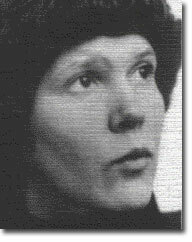 Irina Ratushinskaya, the Russian dissident and poet, was born in 1954 and educated at Odessa University. In the early 1980’s, she was found guilty of anti-Soviet agitation and sentenced to seven years in a labour camp. She was released after four years, on the Eve of the Reykjavik Summit. Her memoir, Grey is the Color of Hope, recounts her experience in prison. After many years living in the United States and London, Ratushinskaya returned to live in Moscow with her husband and two sons.